Once your turn is over, this Pokèmon becomes confused. Flip a coin. If heads, the defending Pokèmon is asleep. If tails, the defending Pokèmon is now confused. 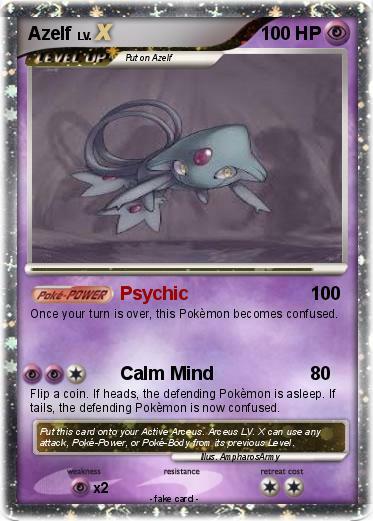 Comments : Put this card onto your Active Arceus. Arceus LV. X can use any attack, Poké-Power, or Poké-Body from its previous Level.